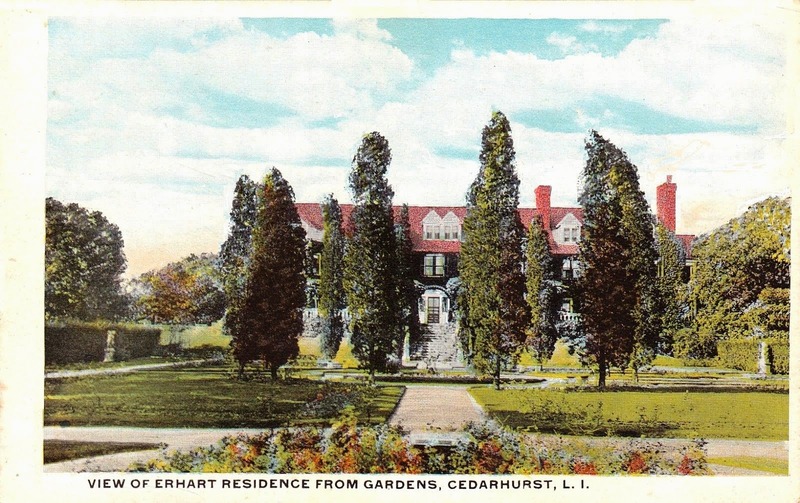 The William H. Erhart residence likely designed by Freeman & Hasselman c. 1907 in Cedarhurst. Erhart was chairman of the board of Charles Pfizer & Company. The company was co-founded by his father Charles Erhart and his father's cousin Charles Pfizer. The residence has since been demolished. Zach...sorry, off-topic. Is there a way to search your sight for a comment posted a long time ago. I'm looking for a response Spinzia made about an estate in I think East Meadow whose owner went down with the Titanic. I checked all the Hempstead and South Shore posts and couldn't find it....I'll be here for all eternity if I have to check through all the North Shore posts. Thank you, I thought James Smith lived in Smithtown, not East Meadow. Thanks again. Yes, he had two places--Smithtown and East Meadow. Thanks for the assist Ray...I tried locating the comment before you responded but couldn't find it. I found it.....thanks for all your help.